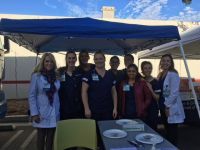 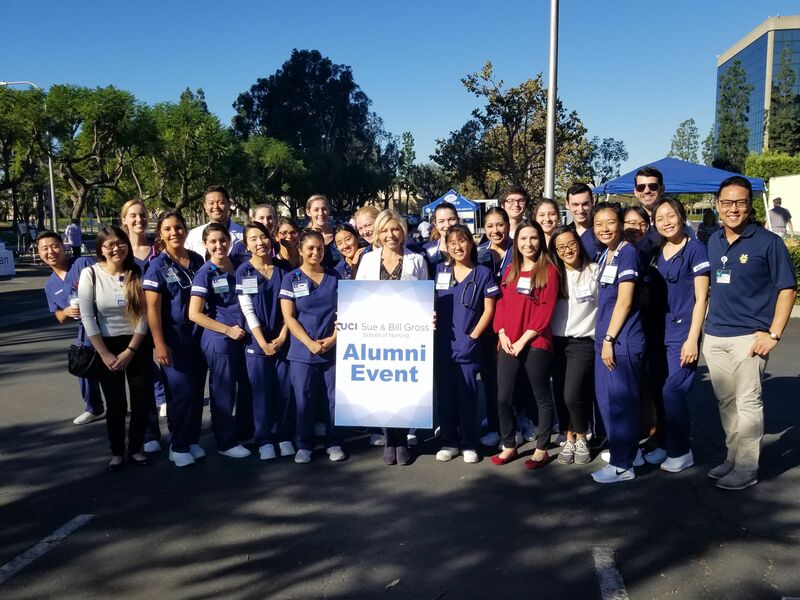 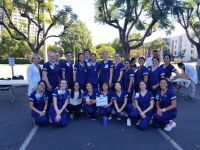 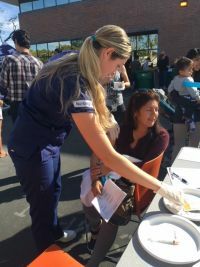 UCI Sue & Bill Gross School of Nursing students, faculty and alumni represented their school’s commitment to the community by volunteering at two local health fairs this fall. 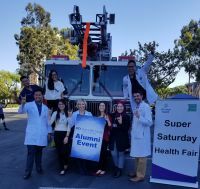 On October 20, 2018, SON faculty member Dr. Tiffany Nielsen led a group of SON students and alumni volunteers in staffing the UCI Health Super Saturday: 8th Annual Community Health Fair in the parking lot of the UCI Health Manchester Building. 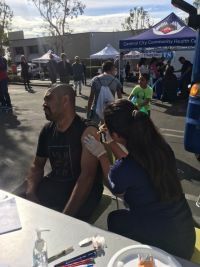 The SON team administered over 100 flu shots, performed blood pressure and glucose screenings, and provided health education to attendees, who were local community members as well as UCI health employees. 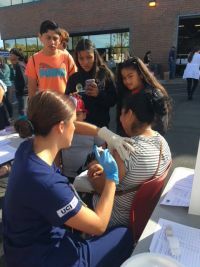 Dr. Nielsen reported that attendees were very willing and eager to have their blood pressures and blood sugars checked and were receptive to the health education that the nursing students provided. 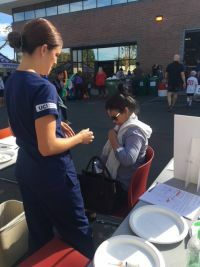 The SON volunteers also handed out mini UCI first aid kits, sunglasses, and sunscreen to promote wellness and disease prevention. 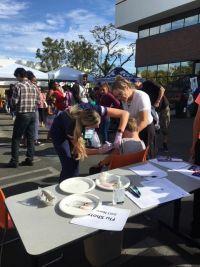 In addition, on November 17, 2018, Professors Sarah Campbell and Liz Symanski supervised a group of seven MEPN students at a flu clinic with Families Forward, a local non-profit organization that supports families at risk for homelessness. 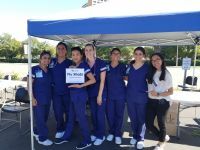 Between the 7 students, they administered 105 flu shots for the Families Forward population.